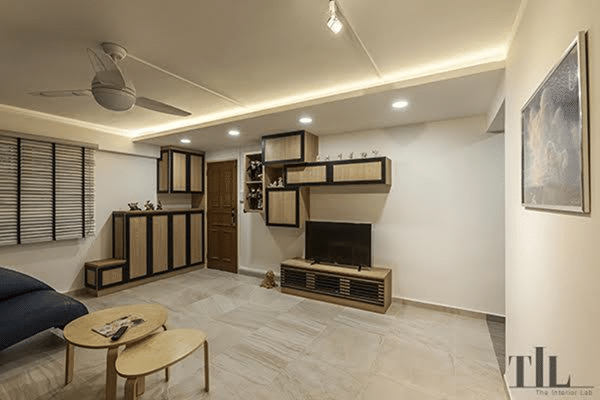 The appropriate placement of the TV is one of the most significant fact you have to deliberate about before selecting the scheme and plan of an area. 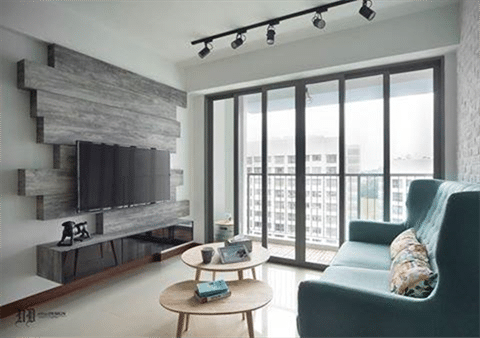 Typically the TV is installed into the wall unit so it needs to sensibly select the sizes and silhouette for the furniture but with a freestanding TV consoles, all these problems can easily be resolved. Here at Renopedia we will display some amazing TV-Unit designs for any living room chosen by our interior designers. Design your home with these tempting designs and give your home a perfect look. 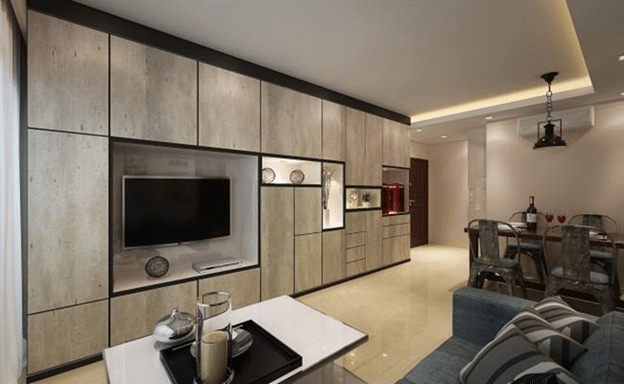 The amazing display of the wooden slabs at the wall by incorporating TV on it makes the wall perfect and give this living room a great visual character with stylish furnishing as shown in the above picture designed by Urban Design. The freestyle wooden stand with complementing stylish and trendy shelves as shown in the above picture designed by The Interior Lab makes this living room seamless and pleasant. 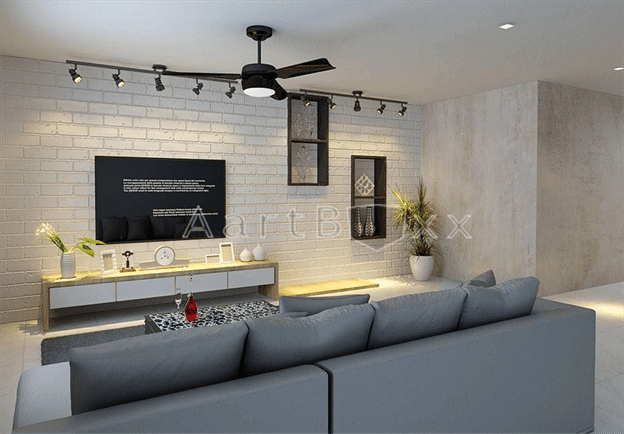 Install the TV against the brick wall with beautiful wood stand and box style shelves, the charming couch with beautiful centerpiece give rise to this room designed by Aart Boxx. 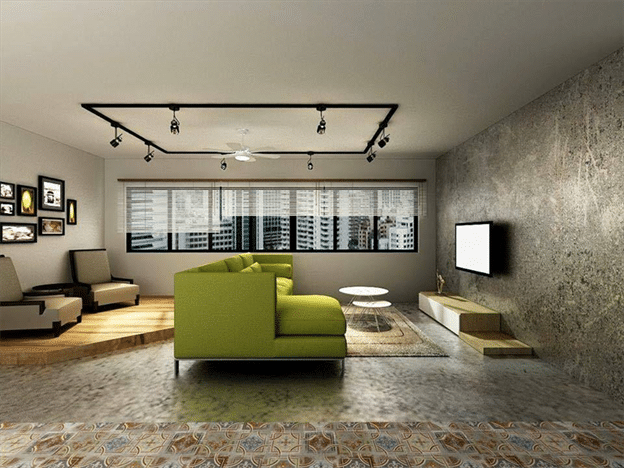 The wonderful look of the above picture designed by Euphoric Designs with an attractive textural wall against the TV-Unit, the cool and calm fresh green couch and amazing décor makes this room perfectly appealing. The beautifully wood designed TV-Unit with unique textures and beautiful design shelves with storage ability designed by 3D Innovations give this room a great focal point.